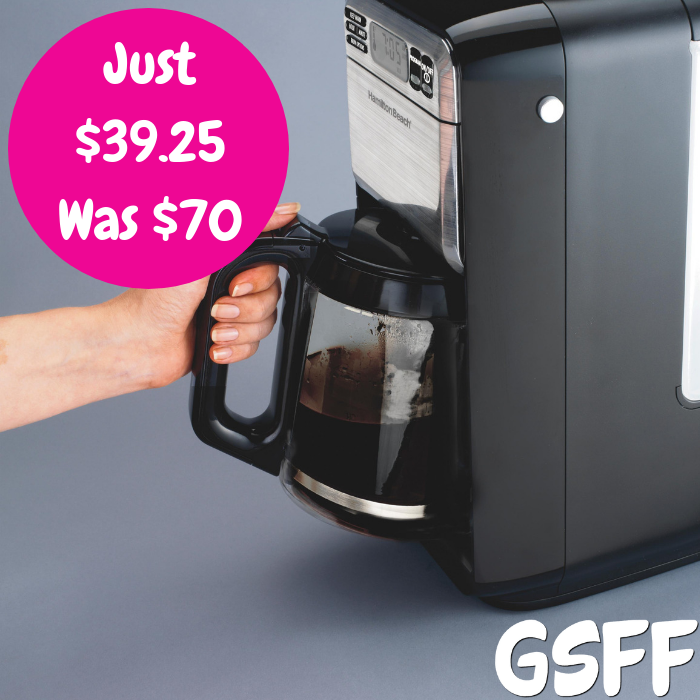 Hamilton Beach Coffee Maker Just $39.25! Down From $70! PLUS FREE Shipping! Check out this Hamilton Beach 12-Cup Coffee Maker which is on sale at Amazon for just $39.25 down from $69.99 PLUS FREE shipping! Hamilton Beach 12 Cup coffee makers make consistently fresh, flavorful coffee – whether you’re brewing a few cups or serving a large group. Attractive, functional and easy to clean, Hamilton Beach 12 Cup coffee makers help you serve great coffee and look great on your countertop. 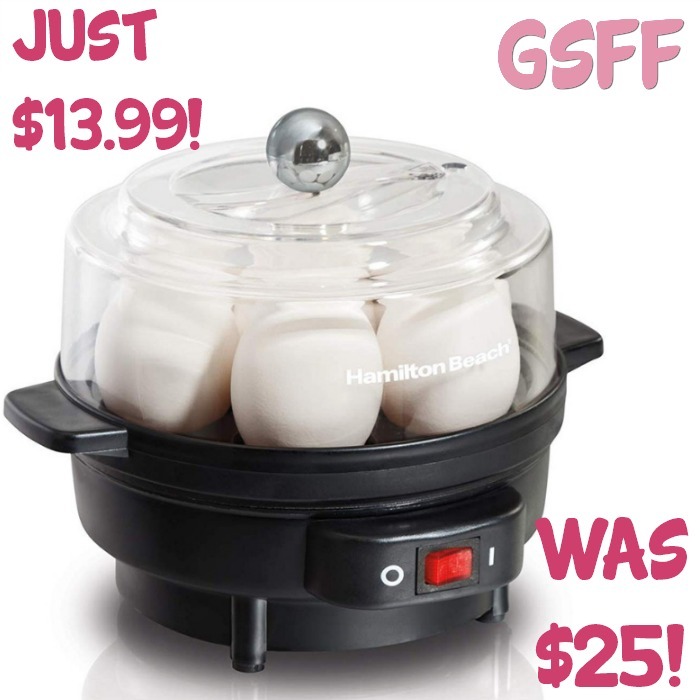 Hamilton Beach Egg Cooker Just $13.99! Down From $25! PLUS FREE Shipping! Exclusive for Prime Members only! Amazon has this Hamilton Beach Egg Cooker on sale for just $13.99 down from $24.99 PLUS FREE shipping! It’s time to toss out the boring granola bars, skip the traditional big breakfast cleanup and forget about paying for drive-thru breakfast sandwiches anymore. Breakfast just got easier, simpler and more delicious. The Hamilton Beach Egg Cooker prepares soft, medium or hard-cooked eggs with the 7-egg capacity. Perfect Eggs. Makes perfectly cooked eggs, and includes measuring cup, egg piercing tool, poaching tray. Enough for A Crowd. Cook up to 7 eggs at a time for breakfast, meal prepping, egg salad and more. Versatile. Designed to make eggs a variety of ways, including hard-boiled, medium, soft and even poached. Easy to Use. Ready timer with tone to let you know when eggs are done. Ready in six to eight minutes. Convenient. Simplifies and shaves time off making batches of hard-boiled eggs and poached eggs. Hamilton Beach One Cup Brewer Just $14.80! Down From $33! Hurry over to Amazon where they are offering this Hamilton Beach One Cup Pod Brewer for just $14.80 down from $32.99 PLUS FREE shipping with Amazon Prime or for orders $25 or more! Have your coffee the way you need it – fast and delicious with no drips – with the Hamilton Beach Personal Cup One Cup Pod Brewer. This handy coffee maker combines the convenience of a single serve coffee maker with the no-mess ease of coffee pods. Make it a truly personal cup by using any flavor pod you want, including tea. You can also double the pods for a stronger taste. There’s no carafe to clean either – the Personal Cup lets you brew up to 12 oz. of fresh coffee directly into your favorite cup or travel mug. With a one-touch start and dishwasher safe brew basket, it’s both easy to use and to clean. Convenient Brewing. 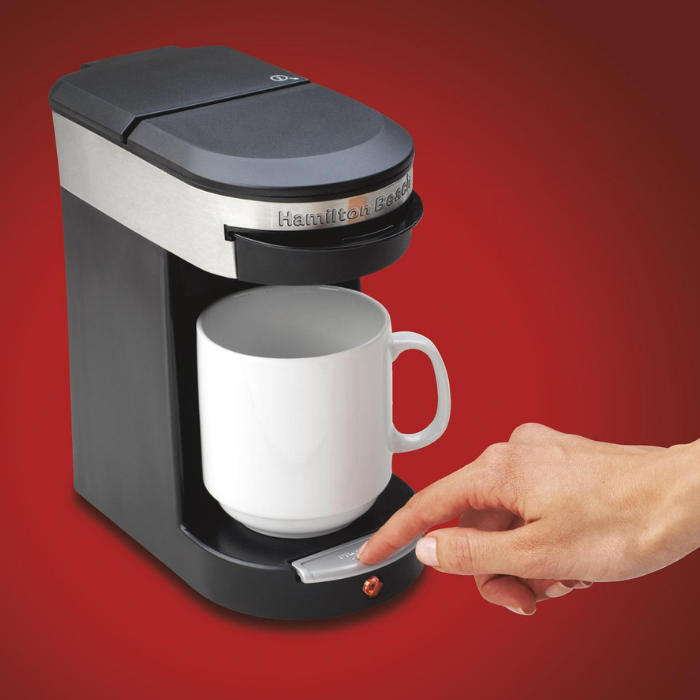 Effortlessly brews up to a 12-ounce cup with one-touch start. Easy to Clean. Dishwasher-safe brew basket and carafe-free design for easy cleaning. Customizable. Works with your favorite disk-shaped soft pods or ground coffee for a custom cup. Just Three Steps. Brews your custom, 12-ounce cup in just three quick steps. Smart Features. Includes auto-shutoff and brews directly into your preferred mug.